RAIL UNION RMT will be holding a lobby outside the German Embassy in London, on the first anniversary of Northern members striking to save the role of the safety critical role of a guard, before handing over a letter to the ambassador about the dispute. The protest will take place on Tues 13th March at 12.30pm at the German Embassy, 23 Belgrave Square, London, SW1X 8PZ. 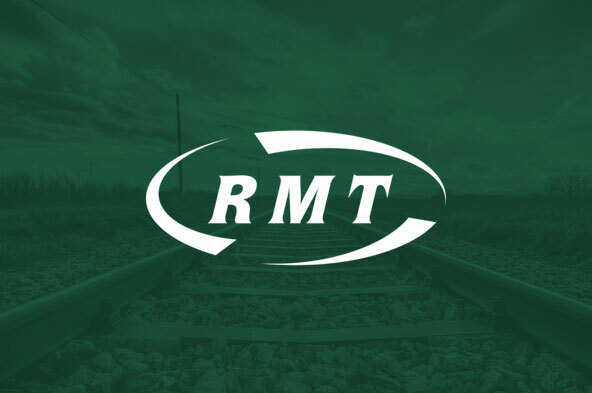 RMT will be demanding that the German state end their profiteering on UK railways through their rail operation Arriva, which runs the Northern Rail franchise, and is helping to drive the moves to axe guards on the service. The protest will make clear the strength of passenger feeling on the questions of safety and security, as well as union members resolve to carry on the fight in the dispute. Nearly half a million trains a year – across the North – that currently have a guaranteed safety trained guard on board, will be driver only if Arriva get their way. This means that there will be no guarantee of a guard on board the train to look after disabled, old or vulnerable passengers. The proposed move would have a big impact on safety and the level of service for passengers. Guards are trained to deal with evacuations, derailments, overhead power line faults, fires on trains, signalling systems, train failures, train door failures, line blockages and more. If the driver is incapacitated or trapped in an incident or accident then there will be no guard on board the train to help with an emergency situation. In addition, without a guarantee of a guard on board the train there is no member of staff to help prevent anti-social behaviour, crime or deal with security threats. “It is a national scandal that overseas-owned rail companies are exploiting Britain’s railways for their own gain and are sacrificing passenger safety in the name of profits. “This lobby of the German Embassy will be making the clear demand that the plundering of Britain’s railways, and the axing of safety-critical guards on our trains, be called to an immediate halt.